While it’s easy to assume that used car prices are more or less fixed over time and only vary according to what car you’re looking to buy and the condition it’s in, the seasons actually have an enormous impact on motor prices. There are fluctuations around and just after Christmas for example, where money is usually tight, but in April and May, when pay rises start to come in, dealers often see an increase in business. Along with mileage, number plates are the best indicator of how old a used car is. As each plate is released at a six-month interval, sneaking a new car into the very beginning of a new plate system can add considerable value to it when it comes to sell, particularly if you’re looking at making a sale in the first few years after purchase. For example, a new car bought in February 2012 would most likely have come equipped with a 61 plate, designating it was bought sometime after September 2011. 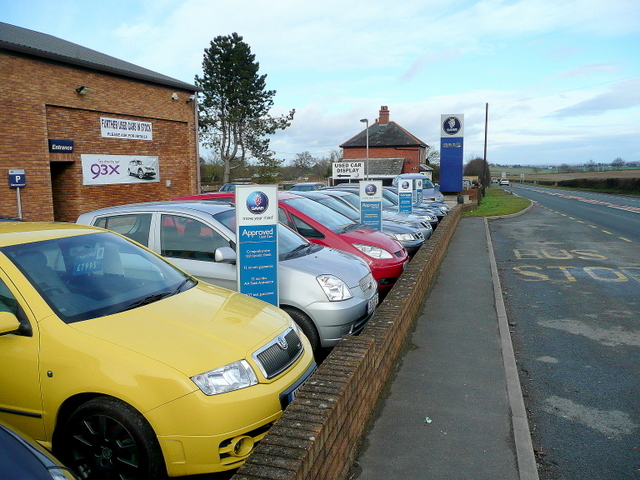 Waiting just a month would give you a 12 plate, which is given to any car purchased before September 2012. Therefore, a new plate can give you almost a year’s worth of life, and as such many people find new cars much more attractive around the March and September plate times. The plate change tends to affect the used car market by increasing the supply of used cars with any given plate. For example, let’s say you have a new car that you purchased in March two years ago with a 12 plate; as the 14 plate has just been released now is the ideal time to trade it in and make the most out of the new plate. This means there’s likely to be a growing supply of March 2012 plates (among others) on the second-hand market. For buyers, this means that price of used cars are most likely to be dropping, as dealers hope to sell them off quickly. This is especially true in the case of plate trade-ins, because these cars are normally only a few years old. If a 12 plate sits on the forecourt for six months, it can very quickly drop off in value. The flurry of supply we see almost every year in March and September is important to manage well. Even though it’s likely to boost sales and improve your income over a short period of time, it’s important that traders factor in the likely impact of plate trade-ins on their cash and stock management. Reactions to plate trade-ins usually fall into one of two categories: firstly, there’s a tendency to over-buy trade-ins, hoping you’ll sell them however not matching demand requiring you to drop your prices. Alternatively, it’s easy to miss the boat and end up selling a large amount of used cars, leaving you without enough stock left. Finding a balance is key. The most important thing for motor traders to bear in mind during trade-in season is their cash flow. Tax bills, motor trade insurance and other costs all generally need to be paid around April, and if you’ve stocked up on too many vehicles you may not have the cash to pay your bills. Even though sales are generally good during the plate-trade in periods, it’s crucial not to take your eyes off your cash flow. Reserves are one of the most important things for any motor trader, so even if your sales are good make sure you check your bills before buying a new part-exchange. Don’t tie up too much cash too early. The plate trade-in should mean that traders are dropping prices temporarily, and that customers will be able to get a good deal if they’re prepared to shop around. This is one of those seasonal factors that, whether you’re a buyer or a trader, is worth being aware of as it will ultimately enable you get the best deals year round.